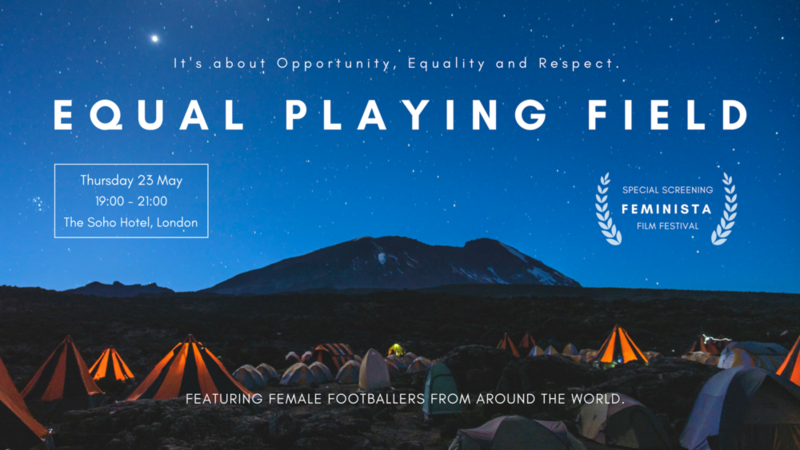 Equal Playing Field is a documentary film that follows the astonishing journey of 30 women from five continents as they climb Mount Kilimanjaro in Tanzania to stage the world's highest-altitude football match and in doing so provide a platform to discuss gender equality in sport. A Q&A will follow the screening, featuring Kilimanjaro match player Maggie Murphy, Lewes FC midfielder Shannon Moloney, filmmaker Ben Jacobs, and other special guests. Join us for this special screening to celebrate women’s football and the upcoming World Cup!